Tucked at the end of a tree-lined driveway, right off the bustling path of Dauphin Street, sits a four-story turn-of-the-century brick building, its history as Southern as mossy oaks and its contents as timeless as good manners and mint juleps. If the ivy lazily climbing the exterior and the patina-covered awning are not inviting enough, the gracious glass doorway certainly is, ushering you inside into the nearly all white first floor. The interior vibe feels comfortable and unrushed, and stress seems to melt away with each lilt of the eye throughout the thoughtfully decorated room. For 30 years, Atchison Home has served as a sanctuary for home design. Tony and Sylvia Atchison, the eponymous original owners, opened the 20,000-plus square feet of showroom in 1988. One serendipitous day in January 2018, Andy Freeman, while shopping for office furniture during lunch, stuck his head in Tony’s office and mentioned that he and his partner, Jack McCown, would be interested in buying the business should the Atchisons decide to retire. The rest is proverbial history. In September, the Atchisons sold the business to Jack and Andy. 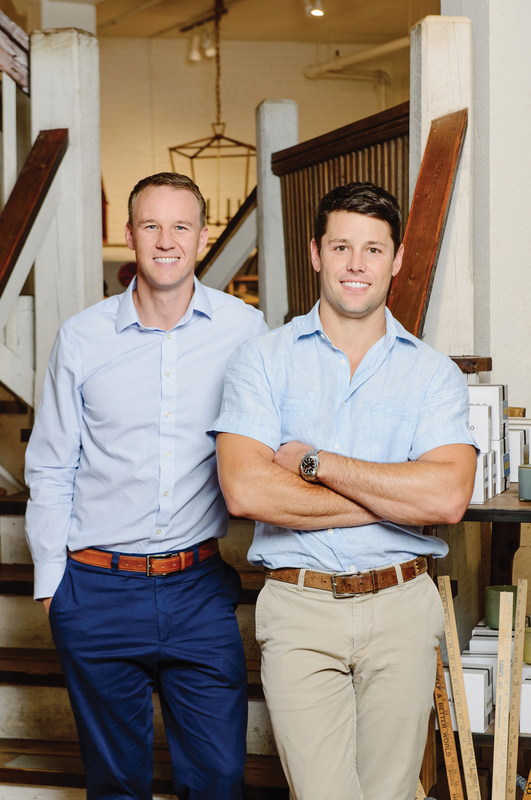 “They were already doing what we wanted to do,” Andy says, adding that he and Jack have always dreamed of owning their own furnishings store but knew they could not compete with Atchison Home. As such, Jack and Andy have no plans to rename the business. “It’s brand recognition,” Jack says, “and the name still fits.” What it fits exactly is the store’s current offerings, from antiques to modern pieces, lamps to wall art — all things home. Atchison Home is truly a one-stop design shop. On site is an architectural designer — Jack’s brother, Robert — and a team of interior designers — including Sylvia — making the transition from inception to fruition possible under one roof. “We want this to be a place where people can come in with their own tastes and ideas and experiment with design,” Jack says. The couple complements each other like toile and pinstripes. Jack is the artistic half, falling in line with his multigenerational creative heritage — his grandfather was passionate about architecture and interior design, and he would often visit the Atchisons’ shop to discuss his clients’ design details. On the other hand, Andy, a transaction lawyer and the practical half, uses design as a creative outlet.